Never has been the world without one, never has his love not penetrated the regions of chaos. 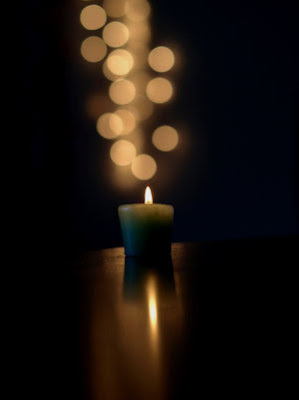 The light of wisdom shines forth from within, the prayer of souls reaches the source. Knowingly or unknowingly we all search for truth. Our destiny leads us towards a road which has no beginning and no end can envelop its beauty. The road itself is beautiful, filled with wonders and mysteries. The one being of supreme mercy transcends the regions of immense beauty and reaches the dimensions of humans, only to awaken the sleeping beauties of eternity. Never has the call been so strong, never has the end of suffering seemed so near. I do not talk of men clothed in garbs of monks, I do not talk of gurus or charlatans we see amongst us. No my dear traveller I talk of something else, something so intangible that the very thought of writing about it seems foolish on my part. However, how can one not sing of his beloved. Deep is the mist of ignorance, still deeper in your heart you’ll find it, not in your books, nor in your scriptures and certainly not in men of flesh will you find what I speak of. Hard is the truth to grasp, secret are the doctrines of love. Only a lover can succeed on this journey, beware only a lover can seek the hidden. I write because I have to, not because the world wants me to. I do not write for fanatics nor for those who ignore the forces of eternity. Not by intellect can you solve the mystery I speak of, not by force can you understand its theories. Knowledge is power, thus say the humans of earth, for the likes of us knowledge is blasphemy for the road to love does not depend on what you know or don’t know, there all the concepts dissolve, all the theories collapse. Then you see the light within where the knowledge of men cannot see. Those books are of a different kind, those theories are of a different world, those visions are of a different reality, it’s wisdom can only be gained by the one who can pass through the gates of death, take a new birth and reveal to himself his true identity. My words may seem uncanny, it is not their meaning that you need to understand. It is something more, something real, something hidden that you need to seek. One cannot understand the meaning of these words, it a matter of experiencing them and only the ones with heart, not faith nor belief but heart to digest the truth, can see through the meaning of these parables. Many are stuck with their models of Godmen, many have fallen to the idols of rock. True peace is still beyond their reach & then they ask why haven’t I received the vision of the beyond. Every year they parade like sheep to be slaughtered due to their own ignorance, bowing heads will not suffice, following blindly will not save. True lovers are beyond rituals, ceremonies and belief systems. Wake up oh soul of eternity, your time has come. 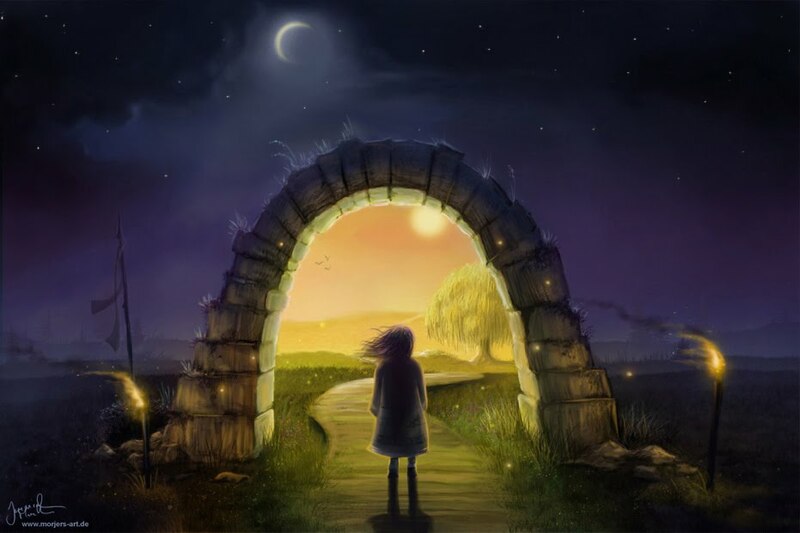 Many follow the paths to spirituality but do not have the courage to give their life for it, others have excuses as their most beloved companions and thus the curtain of ethereal worlds remains closed upon their being. Seek not the master outside dear one, seek him within where his true nature will reveal its wonders to thee. Some are true, some assume to be, some are deluded, some are meant to be. Find the one who can show you the reality of your true nature and so your liberation will seek your presence. In the mystery of my words I reveal my being, in the heart of God I see myself. Who is free and who wants freedom? It’s a game of deception and conquest, nor can he save me nor can I seek him, but yet he has come to save and yet I try to seek. Where the search ends there my journey shall begin, the roads travelled by mystics will be traversed again and a new paradigm will emerge, revealing the same old route to the kingdom of souls. Not by pleasure is this road travelled oh foolish one, it’s by devotion, unconditional love that this journey can be completed. Sitting silently you dissolve your being, thinking stops, the breathe slows down. Your heart seeks and the wave comes. Without hearing you hear it, without seeing you see its glory. It’s voice is one of wonders, it’s vision is one of beauty. Not many know, what I speak of yet they nod their heads as if they have been intimate with the soul of souls. 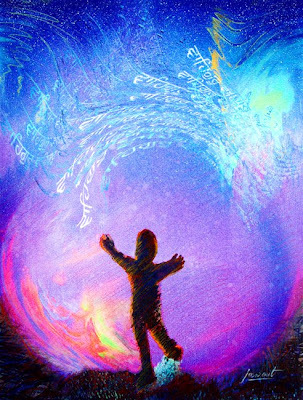 Do not delude yourself oh man, first connect to the deeper one and then you shall be a part of a reality which is bigger than your being, a world where nothing is impossible, where the waves of love penetrate your heart, where the songs of light are sung till eternity. The Teachings were still true then & are still true now. You’ve spent your life in questions and doubts, but now is the time to walk. A walk towards a destination which will never come, a journey towards an end which was never reached. Yet you walk towards the calling of your heart, never knowing what will be your fate. Something pulls you towards its being, something reverberates in your heart that tells you that the country you seek does exist, beyond those shores of chaos. Something from the beyond, does come to take you home oh soul, something so strange that its story is untold, its age is unwritten. It is the unspoken law, the unwritten language, the unseen vision, the unheard voice, Enigma! Enigma! Behold the enigma of Love. Where were the prophets, when it resounded throughout the skies, where were your scriptures, when it travelled across the oceans. All pretend to understand its knowledge but none have gained its wisdom of secrets. The more I found out about it the more it dazzled me. I cannot reveal it to you oh reader, it is you who can reveal its mystery to yourself, nay, it is you oh dear one it IS YOU. At this stage of my evolution I do not see myself as less lustful nor less greedy nor less materialistic than others nor do I see myself as more pious, special or spiritual than others. At this point all I see is that good and bad are nothing but shadows of the ultimate reality, which is beyond good or bad. I don't see evolution as something of a process in terms of higher or lower, instead I see it as a mirage of experiences that leads to the ultimate reality. I don't see a good or a bad person, I just see experiences. When I think about ultimate reality I understand that it is not being good which takes me towards God, neither is being bad taking me away from him. What takes me to him is knowing that the observer is separate from these experiences. The curtain of ignorance has been raised, the shadow of doubts has been demolished. Now I see your light working on Earth in the disguise of men, pure as it was, pure it shall remain till the end. The light of truth reverberates every pore of this creation, open your eyes oh people of this world and see the glory of the Nameless ONE. In the end of our exploration the words are empty. The only truth understood is written with love. So was true in the beginning and is true now, thus with his grace I reveal to thee. Are You Ready For The Land Of The Sacred Peaks? The Journey You Make Will Be Uniquely Yours. Prepare To Be Humbled, To Be In Awe & To Be Touched. Above All, Prepare To Be. A voice in the distance calls out to me. Sitting near the shores of the river Wanganui, a sacred river for the Maori culture (natives of New Zealand), I was reminded of another river, pure as pearls on the deep ocean floor, sacred, the river who stopped Alexander the Great in his tracks, the river where the transcendental knowledge of the Vedas was written, the river closest to my heart, that when I die I would love my ashes to flow with its waters, beyond the horizon into the sea of supreme consciousness, it reminded me of the river Beas & the Master who dwells near its shores. I was walking along the river Wanganui one evening, as the ripples came near its shores, it felt like the same waters carried a message from the river far far away, its waters felt, as if they came running towards me after a long journey from the river Beas (India) & carried a message of love from my master. In a satsangi’s (one who follows the path of the masters) life he sees many amazing marvels of the master’s grace, how he shapes his child’s destiny to make him or her worthy to reside in the kingdom of heaven. I was sent to a country far away from where my master dwelled, where the word spirituality would seem like a farfetched idea, where no one knew the chants of souls, where no one sang the melodies of shabd, it was the desert where my spiritual journey would take me from the worst to the best. Missing my master, remembering his sweet words, I shed tears in his separation, I’m sure that the river shared my sorrow, my desperation to return to my master. When suddenly I heard the sweet melody of celestial sounds, a man was playing the Rabab (stringed instrument) along the banks of river Wanganui. It was an evening sky, when the sun was about to set on the horizon, the sky was filled with a beautiful golden colour across the ocean, the river was calm. The moment was stopped in time, sweet fragrance filled the air, and a sacred vibe surrounded my being. 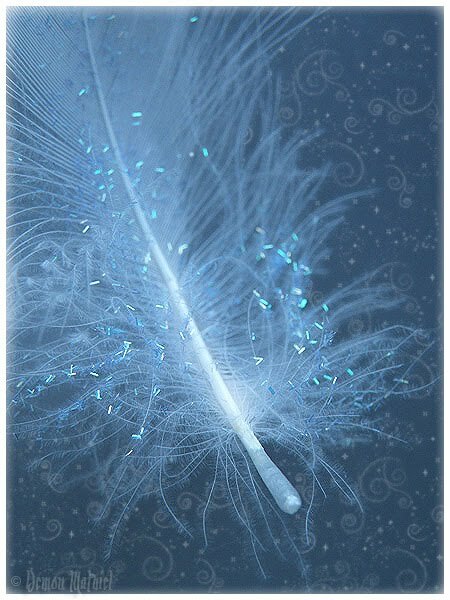 Woven together with the divine touch & an angelic wave, my heart was pulled towards the sounds of silence. His enchanting music made me rush by his side, when I looked carefully, my heart skipped a beat, his face reminded me of an old mystic I met during my journeys to Punjab, but how can that be? When I came closer he looked at me & said, “behold my dear traveler, your longing has called me to you”. Right in front of my eyes the Rabab player metamorphosed into the old mystic who had delivered the message of love to me, who showed me the gateway to my master & whom I had searched ever since my first meeting with the master. I ran towards him like a child runs towards his grandfather, the words grand dad came out spontaneously from my being, I hugged him & the old mystic burst into a laughter “ho ho ho!! I’ve been looking for you my son, the master sent me to give you a message”. These words were sweeter than the ambrosia of all the worlds. I asked the mystic “what words of wisdom has my master asked you to deliver?” the old mystic looked deep into my eyes & whispered “the master wants to meet you”. Silence captured my being, I lost all consciousness of this world & was blown away by the words that came out of him, at first I couldn’t believe what he just said, I’ve heard of tales where the pupil wait for the master’s glance of mercy, of only a chance to see him up close, of only a merciful word or two from the master, but the master calling his son to his abode was something which was beyond my reasoning & experience. I asked the mystic again whether was this really the wish of the master, he replied, yes. He told me that when a soul longs to see the master, when the only thought of ones being is to be with the ocean of love, when a child cries every day, hiding his tears from the world, only to share his sorrow with the silence of the night, the master, being the supreme father, hears his call of love & in his immense mercy & grace, he calls out to his child & grants his wish of a celestial meeting with the master. I can never forget that amazing day when the most important event of my life was about to materialize on the earth plane. The day was 3rd July 2009, I smiled at the old mystic & my consciousness left for the abode of the master. The mystic played his enchanting melodies & my soul rose to the realms of light & sound, I was off on the journey of a lifetime on the ship of Shabd. The mystic said “it is time my dear traveller”, we started walking towards the house where the master would meet us. This was the first time in my life that I was looking at Babaji’s house at such proximity. We walked inside the pathway leading towards Babaji’s office where the master does his work. The old mystic had a face of reverence & told me to sit outside on a bench. He pointed out to me that the window in front of us was the window of Babaji’s office. The surrounding was beautiful & covered with trees & flowers. The ambience was calm & only the sweet chirping of the birds was heard. We both sat outside & waited for the master’s call. Beautiful photos of previous masters adored the walls outside. Now the moment to meet the King of Kings was approaching soon. The door keeper waved at us & we started walking towards the door. Now my heart was singing with joy, I felt like being in a dream. Was I really going to meet Babaji in person? Will I really have the opportunity of a lifetime to see him & talk to him? I couldn’t wait for the door to open. The old mystic went ahead & it was my turn to open the door, slowly like the rising sun’s rays embraces the blue sky at dawn, I opened the door & behold there he was, face like that of angels, wearing a white turban sacred & gorgeous in every sense of the word, pure white kurta (shirt) & trousers, my dear Babaji was sitting on his chair. I felt as if I was looking at the Lord of the Universe. He was busy talking to someone on the phone. I stood at the door & gazed at his beautiful being. Babaji looked at me & with a wave of his hand asked me to come in & take a seat. The old mystic was already seated by my side & right in front of me, there he was, the shining sun, the morning star, the life force energy of his disciples, there was Babaji himself. I got the opportunity to get his divine darshan (glance of the master) for 10 mins while he was talking on the phone. Then Babaji kept the phone down, my heart beats got faster, the anticipation of hearing the master’s first words to me was really overwhelming. Then he looked at me with the sweetest smile I’ve ever seen, a charming face, what an amazing face it was & with a loving gaze he said “Hanji bête! !”(yes my son). My master called me ‘Son’ this moment in my life is beyond words can ever express. The feeling one gets when their master calls them his son or daughter, with so much love, is beyond comprehension. I have no words to express the joy my soul felt at that moment, it was dancing on the rhythm of love, my joy knew no bound, my happiness had no limit, I was in the presence of God, I was in the presence of the WORD MADE FLESH. Not even one’s parents can ever call you their son, the way my beloved Babaji called me. This call of the master is sweeter than all the bliss of the cosmos, this call touched my heart & pierced my soul. I folded my hands & my heart sang a prayer, oh merciful master what have I done to deserve an audience with the King of Kings? Yet you remembered your child. When all the ways to you were closed, you opened the gateways of bliss, when all the waters couldn’t quench my thirst, you opened the ocean of love for me to drink. Days on end I prayed to thee, now that day has come to pass, oh master how shall I face you now and how will I hide behind my sins of the past, how will I ask for your grace? I do not have the strength to withstand your being, help me to save this moment in time forever, so that whenever I feel like being in your presence I can withdraw in the depth of my heart & see your smile once again. Babaji started talking to me & it was the most amazing experience of my life on the Earth plane. Being with the master makes you realize how powerful he is, his being was radiating with the light of Shabd. Babaji is really beyond words. His voice is so sweet that it feels like a beautiful melody of flute is resounding by the mountain valley. 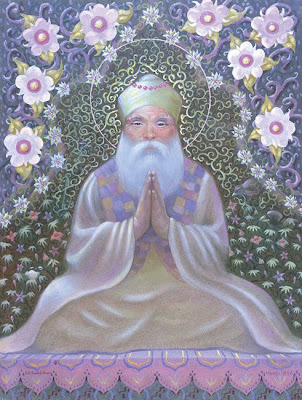 His aura showers waves of love to whom ever comes in contact with this amazing Saint of Beas. Being face to face with & talking to him in person, I truly realized what my master really is. Babaji always seemed like an enigma to me, he was always this wondrous being walking amongst us but the most amazing revelation I had with this meeting was that I completely felt at home when I was with him. Babaji’s love for his children is not only a fiction, a mere theory but its realities are way beyond the human comprehension. My soul felt as if I had known the master since aeons. His comforting smile, his melodious voice & his divine presence made it so much easier for me to talk to him & have a divine conversation with the Lord himself, born in human flesh. I was truly in the presence of the Christ of my time. During the conversations with the Master I realized how the Master was invisibly shaping my inner being, the significance of the word darshan (divine gaze) made complete sense to me now. I learnt many things about the master’s true being, I understood why Saints always say that the master & shabd are one. Before this experience words like these had only a theological significance for me but after meeting the master I understood what it really meant & how true these words were. 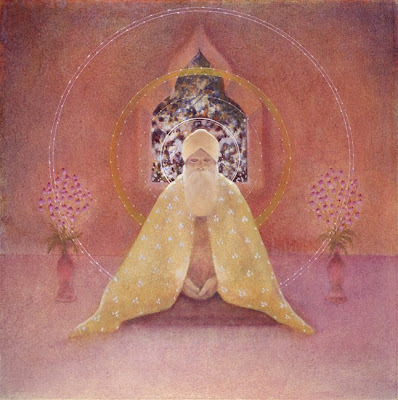 Babaji’s being is not of this world at all, I felt as if I had the illusion of light sitting before me, as if his body was completely merged in the divine light & sound, his appearance was a mere projection of his higher self on this plane. Meeting the Master not only changed my whole understanding of the teachings of the masters but also gave me a deeper insight, towards the persona of the master & his work on the physical plane. Babaji & I talked about all things metaphysical for about 20 to 25 mins, I couldn’t take my eyes off his radiant face, I cannot even start to express the joy one experiences, when one gets to see him smile. Meeting Babaji made me realize how all things run in complete surrender to his will. 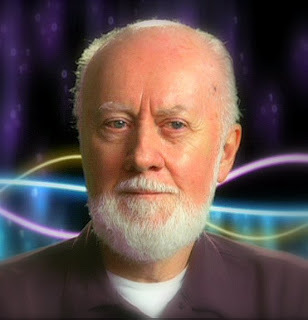 Although the master looks human to our eyes his powers stretch, way beyond the realms of this physical universe, seeing him in person made me understand how the grand orchestra of the universe dances on the tune of the Master’s will. Truly the Master is all mercy incarnated on the face of the earth to redeem the fallen souls. Meeting Babaji made me realize how much we take him for granted & how much love he still showers on his children. All the Master asks us to do is raise the level of our consciousness to the level of the Father & yet we cannot even devote few hours to his sweet will. At the end of our conversation I said to my beloved Babaji that I had brought a list of questions to ask but now after having met him all my questions have dissolved in the abyss of my ignorance & a new light of love has dawned in my heart. I bowed my head to my Master, seeking his blessings on the new journey of spiritual bliss that I was about to begin, I thanked him for his time & patience with us, I greeted my Master farewell & in my own little way said to him,”Babaji it was a pleasure”. I can still remember the smile on Babaji’s face, the gift of spirituality which Babaji gave me that day would always remain buried in my heart, it’s my treasure to keep & my bliss to enjoy. This meeting with the Master made me realize the answer to the most important question in my list of ignorance & the answer is LOVE. Suddenly I realized that I was walking down the River Wanganui & night had dressed herself in the garment of stars. 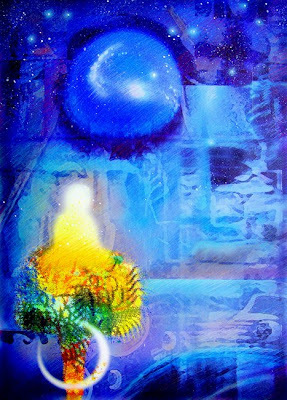 The lila (divine play) of the Master is one of many colours & enchantments. When, where & how the Master will touch the soul of the disciple & lead him to a new level of spiritual ecstasy is never known. Keep a watchful eye on the horizon within, keep an open door to your heart, listen to the sounds of the deep, resounding slowly at first & more enchanting they progress, remember the Master calls, only the ones with the pure heart hear his voice & only the ones with LOVE enter the Kingdom Of Heaven. For it can hold but one, not two. But now the Master is, and I am not. A Soul’s Meeting with The Master. Naamdaan the greatest gift of all. Greetings dear traveler! A voice in the distance calls out to me. It’s midnight & the moon is shining in all its glory. We were traveling by road from Delhi airport to Punjab. During our pit stop at a local dhaba (small road side hotel for refreshments) we were expecting a small cup of tea & some biscuits instead I find myself on a lonely road with a small dhaba & a voice in the shadows calling me a traveler. 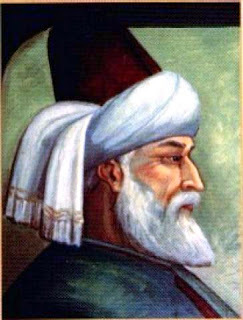 The waiter was about to bring the tea & an old man, of about 80 or 90 years old, who was of sikh origins with his turban & flowing, long, snow white beard, glowing skin, a strong sturdy structure, eyes like that of an ocean, deep with wisdom & a strange power, aura like that of a yogi, voice like that of silver bells & an old lamp in his hand approached me. At first his face was not visible & as he came closer his aura was radiant with an unearthly light & luminance. Just with a glance I was awestruck & was wondering who is this man or shall I say an entity who seemed human but belonged to worlds eternal. With reverence I bowed to him and greeted Saat Sri Akaal (a common greeting in Punjab - India). His face suddenly was captured with a sweet smile as if I was talking about someone he knew. He greeted me back & asked would you like to hear about a cosmic event which is about to happen in a few hours my dear traveler. I was totally bewildered as to what is he speaking about? Ofcourse we were dead tired & nothing more refreshing than sipping a hot cup of tea on a cool windy night & having this amazing being trying to tell us about some cosmic event, who cares if its true or not I was into it. Although no one else seemed to say or pay attention to this old man & somehow I found it weird, why weren’t they showing more enthusiasm anyways I was completely blown away by this man, this old mystic & wanted to know about what he wanted to convey. As soon as I said, yes I would love to hear about it, I was thrown in a world different than I knew, wonderful colors came rushing in from all sides, it seemed like I was travelling at the speed of light. There were lights of explicit beauty, it seemed as if everything was made of light. I totally forgot to ask the old man where was I. I was completely enraptured by the beauty of this amazing world. 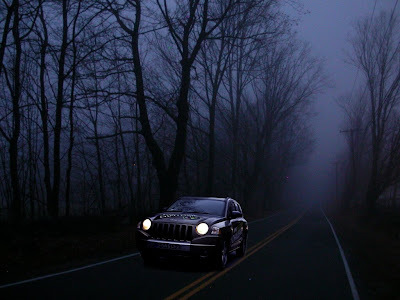 Was it an out of body experience or astral travel I have no idea, I was sure of one thing that I was in for a ride. I knew that this old man had to do something with this but I was too busy to ask what & how. Suddenly we approached a house ones like that in villages of Punjab, big lawns & peaceful atmosphere. There we saw a young soul getting up & turning off his alarm. I looked at the time & it was 4:00 am in the morning, somehow we had timetraveled as well. In the background were the sweet sounds of gurbani sung by the local bhai ji (priest of gurudwara) at the nearby gurudwara. This whole vision was surreal in nature. The morning was chilly but had a comforting feel to it. This soul was in a hurry yet he had a sweet smile on his face, it seemed more like he was getting ready for something. From the looks of it I thought it was his wedding day. But there was something different in his acts & somehow the whole event looked divine in essence. He took a bath & dressed in pure white kurta & trousers & was ready to go somewhere. I asked the old man, where is he going so early in the morning? The old mystic simply replied he is going for the cosmic event for which even the greatest of entities wait & would die for. I was wondering what could be this event, for a minute I thought I was dreaming but then the reality I saw with my eyes was more real than the world I knew. Outside was a car waiting for him, his fellow residents in that house bid him farewell & he was off on the road to a place where this so called event was about to take place. The old mystic & I followed him in our bodies of light. When we reached the destination it was a site to see. It looked as if we were in heaven. The beauty of that place is a site to witness not describe. Green trees covered the pathways, people in huge multitude had gathered for some gathering of some sort. Many were busy in their own work. The whole atmosphere radiated with divine presence. Everyone was so peaceful & carried a strange smile of peace on their faces. I asked the mystic what is this place? The old mystic looked deep into my eyes & with a smile he answered this place is where a great saint resides, within these walls is the Master's abode. 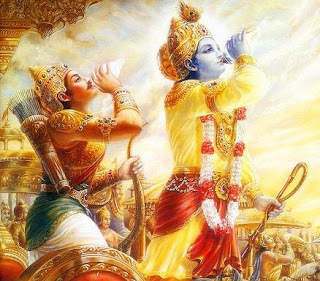 I was thinking to myself if the atmosphere radiated bliss beyond measure, what would it be like to see that master who is responsible for such a divine atmosphere. We followed the young soul & witnessed a gorgeous site where hundreds of people mostly dressed in white were sitting in huge lines waiting for something. Our young lad of 25 years looked at his receipt which said 30th September 2008 & had the details about the whereabouts of the place where he was suppose to go. Soon he joined others in the lines & they were all lead towards this huge hall. On the way towards the hall they were given new slippers & water to drink. They were treated with love, respect & were given a VIP treatment. When they entered the huge hall, everyone was made to sit in huge lines & await the master’s presence. Few instructions were imparted to these souls & then in the background chants were sung which were something like this ‘deen dayal bharose tere’ (oh merciful one we have faith on thee) & ‘charan kamal tere dhove dhove pivaan mere satguru deen dayala’ (I shall drink the waters with which I wash thy holy feet oh my merciful master). The whole energy of that hall was suddenly transported to a realm of spiritual ecstasy. I no longer felt that we were humans instead the feeling in the core of my heart was that we were spiritual beings here for a celestial event. It is amazing that we make all these mental ideas & picture the meeting with the master in some way or the other but when the time really comes there’s nothing like it. The old mystic explained to me that this event is called naam daan when the master in his immense grace & mercy bestows on his chosen souls a key, a power, a ticket if you may call it,which will allow the receiver to transcend the physical realms & enter those hidden realms beyond mind & matter which are otherwise not accessible to the highest of yogis. Imagine for ages the poor soul wanders here & there in search of something, in search of purpose, in search of the path & finally the master shows mercy on such a lucky soul & accepts it under his wing. The master not only shows the soul its way home but also accompanies it on the greatest journey of all. Sharp at 9 am everyone gathered there turned towards the doors & behold there he was. Waves of light & beauty were radiating from every pore of his body, his majestic look & an extraordinary face I can never forget, oh what a face it was. His eyes were radiating with peace & his appearance was such that a thousand suns would dive in shame. 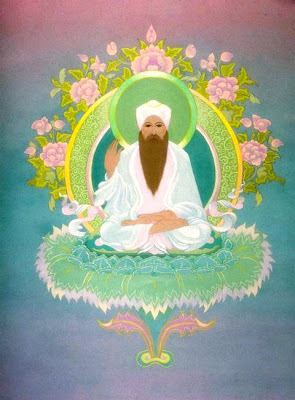 His white flowing beard adored his exhaulted status, he wore a white turban which seemed like a halo of spiritual grace & magnificence & he dressed in pure white as if all the purity of the cosmos had gathered together to form the garment worn by this amazing entity everyone called babaji (with love & respect). His aura was full of marvel & splendor, he looked like the embodiment of shabd, the core of everyone’s being, he was the reason of reasons, it was like watching the alpha & the omega right in front of my eyes & yet his beauty was beyond words would ever suffice. The grandeur of a saint is beyond our limited imagination. This was the great saint whom everyone had come to see & witness his amazing powers of love & mercy. As everyone settled their heartbeats & composed themselves, babaji started walking towards each & everyone of them bestowing the jewel of naam through his eyes. It is said that saints transmit spiritual energy from the eyes or rather their surat or consciousness & today I witnessed this spectacle firsthand. He walked with grace & beauty, looking at him it seemed like the Lord of the universe was walking amongst us. 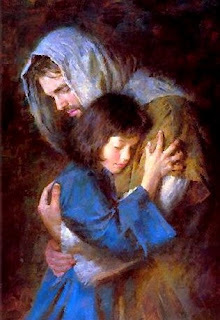 Despite his powers he carried the face of a saint who was humble, loving & caring towards his children. There was a feeling of awe & yet he seemed approachable to every soul which came in contact with him. When he came near the soul we were with, time seemed to have stopped in its tracks. When the master looks deep into your eyes, you are spellbound & mesmerized. It feels like the master has spoken to your soul & you stand there helpless, alone & humble. That’s when you realize that all your knowledge, power & efforts towards your spiritual goal have no meaning at all because the master is the ocean of spirituality & you a mere droplet. This humility is the crown which every true devotee receives & it is only then that they truly understand their true place. In the presence of the master the ego is shattered & a new awakening dawns upon your soul which leads your consciousness towards higher understanding beyond your intellect. Only the experience of such an event can fully make one understand the depth of naamdaan. Its truly a soul’s new birth. After those amazing moments spent with the master everyone was taken to another hall where seating arrangements were made. A few minutes later babaji arrived again & taught his children the deepest secrets of santmat or the path of the masters. He revealed to the souls the inner secrets & pitfalls one may face & showed everyone the way to worship the Lord in its true sense. His voice was sweet & firm. His face was radiant & his words were music to our ears. After spending approximately 2 hours with his devotees the master left for his abode & left his children wanting more as always. I can never forget the moments spent with the master & this whole experience was one magical ride. The world we see around has many mysteries & enchantments which are beyond our comprehension but the greatest mystery is the master. Only he can reveal himself & his wonders...........there’s none like him, there’s none like him. What the Bleep do we KNOW!! Since the time when science stepped into the arena of humanity, we’ve seen that science & spirituality have had different approaches to life & our cosmos. Science took the road to ignorance by accepting our creation to be a machine like mechanism which works on set laws & this thought was the foundation of classical physics. Spirituality took the road to imprudence by accepting mythology & weird belief systems to altogether take humanity far away from the truth which was known only to the masters. Fortunately for us there is a supreme being taking care of our evolution as souls & as we’ve seen from time to time science & spirituality have finally come to a point where both are becoming an inseparable part of the same whole we call “Truth”. From classical physics to quantum physics & from weird mythology to practical spirituality we’ll journey into the world of metaphysics, quantum physics & sant mat (Path of the Masters) to see how amazingly today science & spirituality are merging in the same path which leads to the absolute truth. Why did science & spirituality took so long to get along? When we see the kind of education most scientists go through, we understand that things like psychic phenomenon & things like it such as mystical experiences & soul travel etc. are nothing but nonsense for them. Since these scientists never read about such phenomenon in their course they tend to believe that people who actually say that such things are real & have evidence for it, are stupid. By this the scientists mean that since they are not trained in the principles of science they are not capable to understand why such phenomenon can’t be true. Dr. Dean Radin Ph.D. calls this “The stupidity hypothesis”. He calls it this because usually people believe that those who are more educated & more into science, such people will not believe in psychic phenomenon as much as people who are not well educated , but the facts are that the more you are educated & understand science, the more you will believe in psychic phenomenon. High percentage of scientists, psychologists, physicists etc. believe in such psychic phenomenon (even though main stream science denies its existence) because of their own personal experiences. Many scientists in various fields of neuropsychology, psychology, physics etc. are very much interested in such phenomenon & are even conducting their private experiments but we don’t hear about these results because in the scientific community such topics are considered taboo & this notion has continued for over a century. 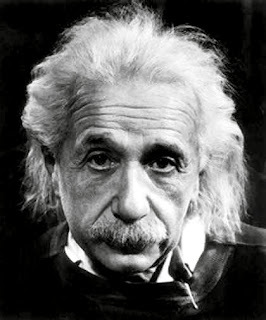 Einstein's theory of general relativity results were confirmed that the architecture of space time is curved & dynamic & not flat & static when Edwin Hubble used his telescope to confirm the fact that the universe was actually expanding & the galaxies were moving away from earth which gave rise to the theory of Big Bang that the universe began with a cataclysmic explosion. The revolution of cosmology began from great scientists as Nicolaus Copernicus & Johannes Kepler to Galileo Galelei to Sir Isaac Newton. Pioneering work of George Gamow & his colleagues was done on Big bang theory & Fred Hoyle worked on origin of the elements which gave better understanding of how this universe evolved. Much scientific advancement have been seen like space satellites, lasers, gravity wave detectors, X-ray telescopes & high speed super computers. Superstring theory & M theory have given us the major first step beyond Einstein's original theory. They gave us evidence that our universe is one of many. According to the new theories in science our universe is like a bubble in the ocean of consciousness or nirvana of the eleven-dimensional hyperspace. There can be many more such bubbled universes. 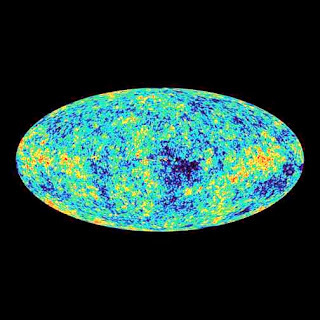 Satellites like WMAP (Wilkinson microwave anisotropy probe) have captured detailed pictures of the afterglow of the big bang of our universe when it was just 380,000 years old. This is a “baby picture” of the universe, as it was when it was only 380,000 years old, taken by the WMAP satellite. Each dot most likely represents a tiny quantum fluctuation in the afterglow of creation that has expanded to create the galaxies and galactic clusters we see today. 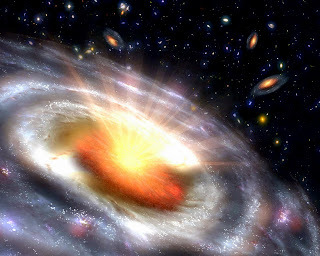 The age of the universe is 13.7 billion years old with an uncertainty of about 200 million years. A very interesting fact is that every high school book teaches the students that the universe is made up of 100 different types of atoms when in fact recent studies have showed that the visible matter around us such as mountains, planets, star, galaxies etc. are made up of paltry 4 percent of the matter & energy content present in this universe. 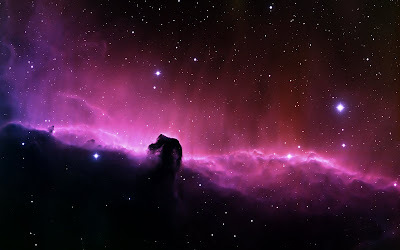 Rest of the universe is made up of invisible material of unknown origins. According to the WMAP 23 percent of the universe is made of a strange, undermined substance called dark matter, which has weight, surrounds the galaxies in a galactic halo & is completely invisible. But the most amazing thing is that 73 percent of the remaining universe is made up of a totally unknown form of energy called the dark energy or invisible energy hidden in the vacuum of space or “shunya”. Interestingly in the epic book Anurag Sagar Saint Kabir talks about a negative entity & how this entity called Kaal & his forces work behind the curtain of invisibility & runs this great show we call creation of the 3 worlds (Physical, astral & casual). No one at the present time has any understanding of where this “energy of nothing” comes from. “Frankly, we just don’t understand it. We know what its effects are [but] we’re completely clueless . . . everybody’s clueless about it,” admits Craig Hogan, an astronomer at the University of Washington at Seattle. 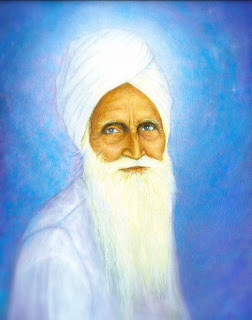 Once Huzur Maharaj Sawan Singh ji, one of the previous satgurus of the Radhasoami Satsang Beas described an experience of seeing the universe from above as a kind of cosmic foam or many bubbles of universes. The great masters of the past have always shared amazing accounts of their journey into higher dimensions. Science & general public on the other hand always took these accounts as fake or looked upon them in suspicion. Still the masters & mystics hold true the fact that there are many such universes & worlds beyond our physical world. and solar systems in the universe. has occurred so many times. But the one Lord remains for ever and ever. According to the theories proposed by Russian physicist Andrei Linde of Stanford University there may be multiple universes sprouting out from our universe or even our universe maybe the result of such an event from another ancient universe. Amazingly now the ideas that there are more than 4 dimensions (3 of space & 1 of time) scientists have started to believe that there could be many universes right above our own universe & we won’t be able to see them since they are vibrating at a higher frequency level than ours. A very nice example which is given by the masters is that this life or creation is a stage where we merely play our parts as actors. But in light of the new theories proposed by science we can understand that there may be multiple stages right above us & we’ll carry on playing our part as if nothing else exists beyond our realm. 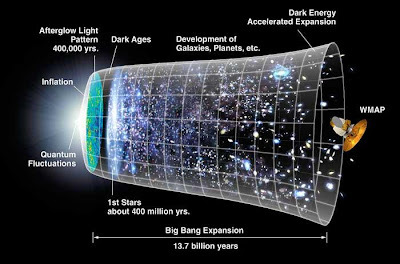 The cosmic inflation theory or the inflationary universe theory states that at the time of big bang the inflationary expansion was so intense that there are whole regions of universe beyond our visible universe that will forever be beyond our reach. 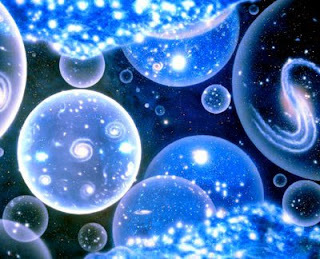 Theoretical evidence is mounting to support the existence of the multiverse, in which entire universes continually sprout or “bud” off other universes. If true, it would unify two of the great religious mythologies, Genesis and Nirvana. Genesis would take place continually within the fabric of timeless Nirvana. Scientists at Cal Tech, MIT, Princeton, and other centers are trying to calculate whether is entering other parallel universes consistent with laws of physics. I say in an infinity of worlds. 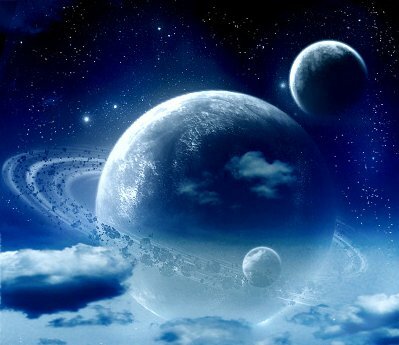 Previously scientists looked at the ideas of parallel universes, higher dimensions etc. with suspicion & such ideas were usually associated with mystics & occult realms. Usually we see that science didn’t take these concepts of mystics very seriously at all. Infact scientists were hesitant to even venture into these realms of study as it was viewed as a fatal mistake for their careers. It’s only recently that the most brilliant minds on the planet today are rocking the world of science & spirituality with amazing theories known as string theory & it’s latest incarnation the M theory. These theories would unravel the subtle mysterious of our universe & may eventually help us “read the mind of God” as Einstein once eloquently put it. Now let us try to understand what is String Theory. Einstein once said that if a theory did not offer a physical picture that even a child cannot understand, then it was probably useless. String theory is an as-yet incomplete mathematical approach to theoretical physics, whose building blocks are one dimensional extended objects called strings instead of previously used zero dimensional one point particles which formed the basis of standard model of particle physics. In simple words ever since greeks, philosophers thought that the ultimate building blocks of matter in our universe are tiny particles called atoms. So everything in our universe at its core is made up of atoms according to their speculation. 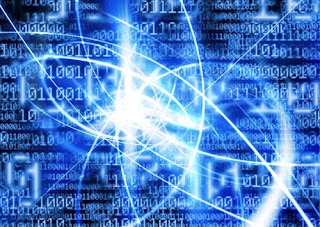 Today with the advancements in technology we have powerful atom smashers & particle accelerators which can break the atoms into electrons, protons & neutrons, eventually leading us to nuclei which can be further broken into subatomic particles. 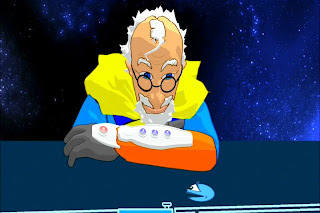 The distressing part was that we find many different types of subatomic particles like neutrions, quarks, mesons, leptons, hadrons, gluons, W-bosons etc. The problem was that at such a core level nature did not have a standard fundamental aspect, instead it had a mixture of bizarre subatomic particles. Previously physicists saw electrons as point particles so in other words matter was made of many small point like particles & they had to introduce a new particle for every subatomic particle which became very confusing. But according to the string theory if we look at the electron particle with a super microscope which can take us at a much deeper level of the electron we’ll see that at the very core it is not a point particle at all instead it’s a tiny string like particle vibrating so fast which gave the illusion of solid point particle. It only seems as a solid particle because our instruments don’t have the capacity to take us deeper into its core. These strings can be understood as strings which are used in the violin which when vibrate at different range & frequency produce different sound & variation, although these subatomic strings are not some normal strings, they are vibrating in the 10th & 11th dimensions. Similarly just like the strings of the violin when struck at different range produce different frequency & resonance, these small string particles which make up the subatomic particles could vibrate at different frequencies & produce different types of subatomic particles, so in other words one single fundamental object could produce different types of subatomic particles just by changing its frequency. So instead of using different point particle for hundred different subatomic particles, now we could use one single object called string. However there are 5 different string theories each with different aspects & competing to be the theory of everything, which was another problem faced by physicists since it was hard to believe that the universe would have so many different ways to bring the creation into being. So after understanding this unique new theory we understand that laws of physics are nothing but laws of harmony, the laws of chemistry are melodies which one can play on these strings, this grand universe is nothing but a symphony of strings & the mind of God is the cosmic music, the sound current of mystics, the word or shabd of sant mat, music of the spheres of greek philosophers, the celestial music of the masters, resonating throughout hyperspace. Ofcourse the master musician is that supreme being himself which we call by many names as GOD, Waheguru, Bhagwan, Allah or Quantum Self, superstring field & unified field. 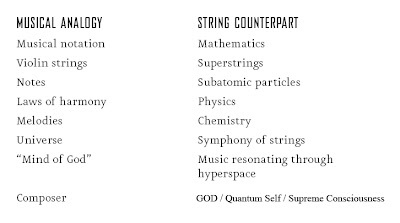 Here we see the music analogy with string theory counterparts & understand the complete grand orchestra & it’s player. Now let us have a look at M Theory. In the 1980's, a new mathematical model of theoretical physics called String Theory emerged. It showed how all the particles, and all of the forms of energy in the universe, could be constructed by hypothetical one-dimensional "strings," infinitely small building-blocks that have only the dimension of length, but not height or width. 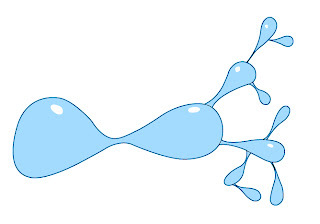 Further, String Theory suggested that the universe is made up of multiple dimensions. We are familiar with height, width, and length as three dimensional space. However, String Theory supported the possibility of nine, eleven, twenty-one, or even as many as 26 dimensions--which we can't detect directly. These "strings" vibrate in multiple dimensions, and depending on how they vibrate, they might be seen in 3-dimensional space as matter, light, heat, or gravity. It is the vibration of the string which determines whether it appears to be matter or energy, and every form of matter or energy is the result of the vibration of strings. String Theory then ran into a problem. Another version of the equations was discovered. Then another, and then another. Eventually, there were five major String Theories, all based on a 10-dimensional universe, and all of them appeared to be correct. That was a problem, because science can't have five seemingly contradictory sets of equations to describe the same thing. 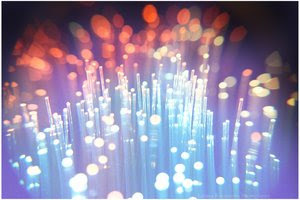 In the mid 90s, a String Theorist named Edward Witten of the University of Maryland and other important researchers considered that the five different versions of String Theory might be describing the same thing seen from different angles. They proposed a unifying theory called "M-Theory", in which the "M" is not specifically defined, but is generally understood to stand for "Membrane." M-Theory brought all of the String Theories together so they agreed. It did this by asserting that strings are really 1-dimensional slices of a 2-dimensional membrane which is vibrating in 11-dimensional space. M-Theory is not yet complete, but the underlying structure of the mathematics has been established, and is in seamless agreement with not only all the String Theories but with all of our scientific observations of the universe. Unfortunately, until we can find a way to mechanically observe higher dimensions (impossible with our current level of technology) M-Theory has a very difficult time making predictions which can be tested in a laboratory, so technically, it may never be possible for it to be "proven." However, many cosmologists, including Stephen Hawking, are drawn to M-Theory because of its breathtaking mathematical elegance and relative simplicity. 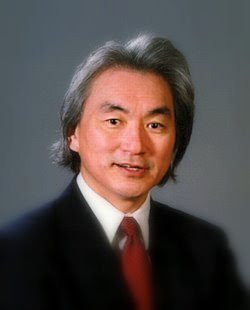 Physicist and bestselling author Michio Kaku has remarked that M-Theory may present us with a "Theory of Everything" which is so concise that its underlying formula would fit on a T-Shirt. 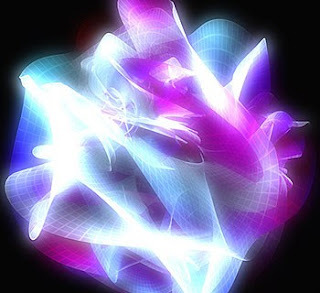 music resonating through ten-dimensional hyperspace. 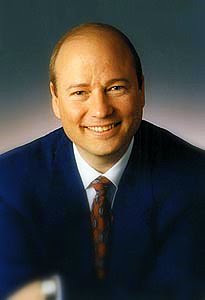 Dr. John Hagelin Ph.D. – on consciousness and superstring unified field theory. What is the physics of consciousness? What is consciousness? Where does it come from? 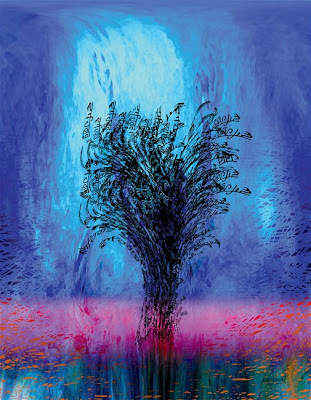 What are the origins of consciousness? What are the limits of human potential? Today modern physics can actually give us answers to these very fundamental questions although there’s no consensus yet in the scienctific community about that but with real cutting edge knowledge & discovery of unified superstring field we now understand that life is fundamentally ONE!! That oneness is universal consciousness. Previously many believed that consciousness is created by the brain but today we understand that consciousness is the very core of nature which science calls the unified field & the masters call GOD. Kabir the great mystic very rightly says “Ek noor se sab jaag upja” from the one light of consciousness came into being everything. Today through modern physics we have discovered that at the base of everything, at the very core of nature is a single universal field of intelligence, an ocean of existence at the base of everything mind & matter. How ironically this is the same concept saints & mystics from time to time have revealed to us that beyond mind & matter also known as MAYA there is SAT PURUSH or realm of SAT known as SACH KHAND (true realm) the eternal Ocean of consciousness. According to quantum physics everything is nothing but waves in this universal sea of consciousness known as superstring field or unified field or GOD. Similarly sant mat masters have been teaching us this same fundamental truth throughout the ages that there is one shabd which resonates throughout different dimensions & realities & creates everything by changing it’s frequencies & giving us this vast variety of creation. We only individualize our own consciousness through the filter of our nervous system but in reality everyone of us is united at the core & everyone is in fact the same ONE consciousness. Our very own core which is one, knowing this by virture of experience is called Enlightenment. In quantum mechanics the idea of particle or building blocks of everything is replaced by idea of wave function. A wave function is a vector in a linear space which means it’s made up of the same stuff thoughts are made of. Now a very interesting understanding dawns upon us that this creation is nothing but thoughts of GOD & exist in his MIND or waves in the ocean of superstring field coming into existence in hyperspace. Quantum physics tells us that the deeper you go in the structure of natural law the less dead & inert the universe becomes & it gets more alive, more intelligent, more conscious. The superstring field is a field of pure being, pure intelligence. It’s intelligent because it’s the fountain head of all the laws of nature & all the fundamental forces of nature. They have their unified source in the unified superstring field. This makes the unified field the most concentrated field of intelligence in nature. No wonder why saints call GOD all knowledge the source of everything. Non-material, dynamic, self aware, intelligent etc. these are the properties of the unified field or GOD. A very interesting example I read in Michio Kaku’s book Parallel Worlds made me realize how Sach khand (realm of truth abode of almighty) is perfect in comparison to other lower realms & our physical realm. It’s like the water when it is in the liquid form it is uniform & smooth, quite like perfect in essence. As it freezes it changes it originality & uniformity & becomes more broken with all the cracks, crystals & bubbles, which is similar to the description santmat gives us that as the shabd power travels to lower realms the purity & perfection of these realms decreases & that’s why none of the other realms are as pure & perfect as Sach Khand (realm of truth). 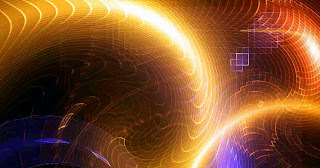 A question asked to John Hagelin is if this knowledge has been there since ages & as a student of sant mat I can see many vanis of great saints referring to SHABD or NAAM the eternal sound current, the celestial music resonating in various realms, the superstring field which brings into existence this creation simply by vibrating at different resonance, how can it be lost through ages? The answer is that this knowledge is not lost because it is difficult to practice or achieving enlightenment is complicated but because they are too subtle. In order to transcend & experience unbounded awareness the consciousness has to settle down completely which the masters call dhyan or meditation. When we see what is the self, the atma or soul we understand that the self or soul or consciousness or our very subjectivity is the one thing in our life that has never changed. Intangible though it may be & very difficult to comprehend, it’s the one aspect of our self that has been with us since childhood. Everything around us from our beliefs to friends to body etc. changes, but our consciousness or feeling of being or our subjectivity never changes. We may appear different & diverse in physical sense but as we go deeper to the molecular level, the atomic level, the nuclei, the sub atomic levels we find that our source is the same ocean of ONE consciousness. The most fundamental thing is that we are all connected. We swim in a sea of life, which is the zero point field. 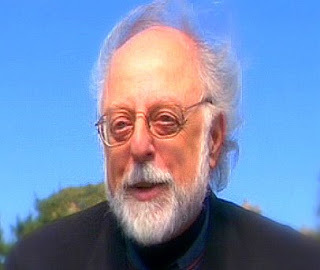 Dr. Fred Alan Wolf refers to God as God self or our own higher self, the supreme soul. When asked about what is the relationship between our God self & his God self he says that there is no relationship in your God self & my God self because it’s the one & only, same ONE GOD SELF which became many & creates the illusion of us being different with our different personalities. Many people often ask that if we are essentially one & we are part of this supreme consciousness, then how can I as an individual affect the universal consciousness & the answer is that we can affect the universal consciousness by touching & being in touch with the God self or supreme consciousness. Which better explains why masters & mystics can do amazing things with the power of their mind because they do not operate from the level of self in fact they are ONE with the supreme consciousness & that’s why they have the amazing ability to affect universal consciousness. Coming from someone like him who is from the scientific community & although he most probably came to such a profound understanding due to quantum physics & his own scientific knowledge it is important to see how this correlates to what Kabir, Nanak & other saints have been saying that all came from the same ONE supreme soul & it is HE who became this world & brought everything into existence. We live in HIM & yet he is beyond this creation. Another very interesting comment which he makes in the movie “What the bleep do we know” is that there must be a realm, an underlying realm from which our reality comes into being. This is so similar to what masters & sant mat have been telling us since ages that the various realities from SACH KHAND or the true realm are projected as reflections of the realms above & superior to it which explains why many times astral travelers & masters as well, say that our physical reality comes into being from the astral dimension, & not the other way around. Which also explains the phenomenon of aura healing etc. 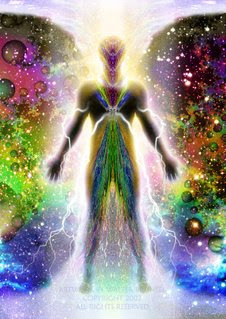 which is done on a subtle level of our astral body & its effects are manifested in this physical realm. Now let us look at how sant mat masters have been telling us this secret of a vibration called shabd which is responsible for the creation of everything. String theory has shown us that these strings are responsible for the creation of our universe & they vibrate at a certain frequency. This vibration of the energy produces music as well which is not heard by us but mystics talk about this energy which produces sound as shabd & they also tell us that it has 2 aspects to it, one of sound & the other of light. The masters teach us the way to meditate & get in touch with this amazing harmony of music of the universe resounding throughout hyperspace. 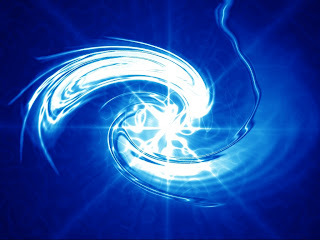 This shabd power as it descends from the highest dimension changes its vibrations & a whole new realm is created by it. Just like the theory, masters tell us this information with confidence that this shabd power does actually work in this way & it’s not a theory but a fact only understood by those who venture into the realms within. Masters also tell us how this shabd has countless melodies & variations & how it creates, sustains & destroys the known creation. They also tell us that this shabd eminates from the supreme being himself which is known as superstring field or zero point field or quantum self or unified field in quantum physics. This shabd which saints speak about is not only sound & light but it’s the creative power of the supreme being. It’s no wonder that our science is slowly getting closer to the truth spoken of by the saints & mystics many years ago. Dr. Quantum meeting a 2 dimensional entity. The problems faced by masters in order to explain to us about these higher realms can be understood very well from a wonderful example I saw in the movie “What the bleep do we know – down the rabbit hole” where Dr. Quantum who is in the 3 dimensional world tries to explain to the little entity living in the 2 dimensional world that there are more worlds with higher dimensions it’s living in. Directors of the movie “What the bleep do we know”. do not even believe your master. 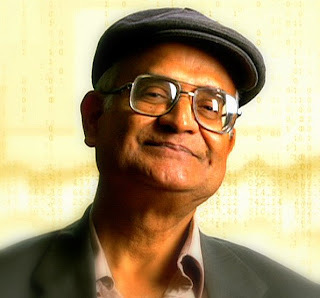 Amit Goswami Ph.D. – On quantum physics & consciousness. By using quantum physics we can calculate the possibilities not the actual outcome. So the next question comes who chooses the result whether which possibility to choose & thus we see clearly that consciousness or an observer is a must for this to happen. With quantum physics we can describe the object & not the subject. So by this we understand that consciousness is more fundamental than the object & thus it’s the ground of being of which objects are part of & not all of it. A very interesting thing in sant mat & teachings of the masters is that ONE Supreme Being became many & thus the play of the world is created. The masters also tell us that when we reach enlightenment we experience oneness with the universe & we understand that fundamentally all are ONE. Now when we see ourselves from this level of physicality & duality this concept that we all are ONE is hard to comprehend but here’s a very beautiful example about a painting called Drawing Hands by M.C. 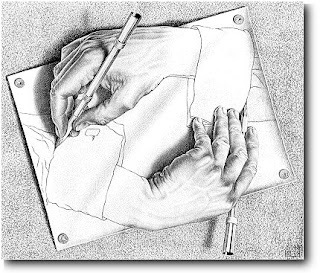 Escher where the left hand draws the right hand & the right hand draws the left, now according to the picture both come into existence because of the other but the ultimate reality is that both the hands are in reality drawn by M.C. Escher who is outside of the picture & transcends the picture similarly ONE consciousness projects as both subject & object giving rise to duality & in reality both of them come from the same ONE source the Supreme Consciousness which science calls by many names as unified field or superstring field or quantum self. Spirituality & sant mat call it GOD or Supreme Being or Sat Purush which both creates the subject & object & transcends them both. Ramtha is an ancient warrior, conqueror, and ascended Master who lived 35,000 years ago who is channeled by JZ Knight. When asked a question who or what is he? 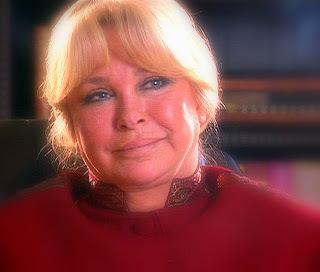 Ramtha answered “I am reality borrowing a body”. Another very interesting explanation Ramtha gave which made me realize why masters don’t judge others & bypass their flaws & show them the path to light, why we judge everyone else around us, it’s because we have the desire to feel superior & the only way mediocracy can feel close to originality is to suppress other mediocracy. It’s never a climb out of mediocracy it’s simply a con game of abuse. The masters on the other hand do not judge us simply because they understand that they already KNOW what we are yet to KNOW. The masters are already superior to us & the fact is that the more you know the greater the love you have for others because the greater one understands everyone. Another very interesting question Ramtha asked JZ Knight must also be answered by everyone one of us & the question is “Are you going to stay in your body & avoid death or you wanna leave it & see that you’ve conquered it”. Saints often tell us to learn to die while living & regain our lost immortality. This process of dying while living is called meditation. In the Book Parallel Worlds Michio Kaku discusses about how in the future trillions of years later, the civilizations will probably be so advanced that they will create systems & technology by which the living can transport themselves to other hotter universe by traveling through hyperspace, wormholes or travel back in time when our own universe was hot enough to survive. This according to sant mat is not something to look forward in the future but infact has been happening in the past, is happening right now & will continue to happen in the future as well. Those who practice meditation under the guidance of a living master travel to various different dimensions at will & return back to this earth plane. 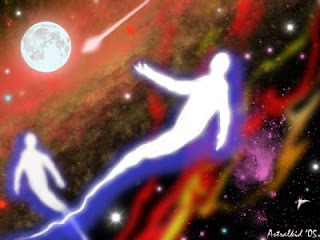 Not only is the travel to other dimensions possible but many know exactly in which dimension they are suppose to go & journey further to higher realms after they die. Scientists under estimate this human body & its technology very much. Since ages saints have been singing great praises of this human body & the wonders within it. Our consciousness is the fastest traveling vehicle in this universe, our body is the best launch pad for travel in higher dimensions & our soul is the perfect entity to accomplish this amazing task without a problem. Time is reduced as you travel in higher dimensions. Many times we hear a mystic saying that they travel to far away dimensions & realms when the time of meditation it took them to achieve this amazing voyage is relatively small like 1 or 2 hours. Saints say that as you go higher the duration of time reduces so for example 20 hours of earth time would pass instantaneously on astral & casual regions within a few seconds. To us it would seem like a story blown way out of proportion but does science agree to it? Amazingly according to Einstein in the spring of 1905 he discovered that time beats at different rates, depending on how fast you move. According to Newton the universe had a constant time clock which ran universally throughout the universe but years later Einstein’s discovery changed the way we look at time, when he combined time with space & gave us space time. Looking at such examples from science it makes us wonder how true the masters & saints are in their amazing discoveries & yet we look upon their revelations from a skeptic’s view. Many mystical experiences are often looked at with some degree of skepticism by many but today numerous studies in science & documented cases of these experiences have shown that when a person or a mystic has access to those higher realities his or her perception of this physical reality changes BIG TIME!! It’s like when we see a dream although while the dream is going on, everything in it seems real & vivid but as soon as you wake up in this physical reality the degree of this reality determines the realness of the dream state. So we say that dream was not as real as this reality feels to our consciousness. Similarly when people who meditate & mystics travel to higher realities & have these mystical experiences the degree of realness they experience in those conditions & realities is far more than this physical reality. So when their consciousness returns to this reality & even when they are no longer connected to those higher realities, they consider this reality to be less real then those experiences they had, much like we consider our dream reality less real than the physical reality. 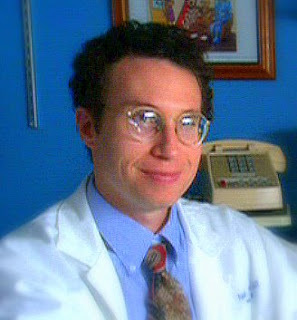 In the movie contact Dr. Arroway tells Palmer Joss about Occam’s Razor which states that "All other things being equal, the simplest solution is the best." which is a basic scientific principle. Then she asks the question whether what’s more likely that an all powerful mysterious God created the universe & then decided not to give any proof of his existence or that he simply doesn’t exists at all. A wise question & that’s exactly what saints from time eternal have been telling us that yes there is an all powerful God & he does give evidence about his existence & proof by sending his beloved souls or spiritual masters who explain to us the mysteries of the cosmos & show us a direct, simple & natural way to reach that supreme being. 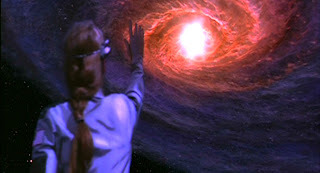 In another very interesting scene Palmer asks Dr. Arroway why was she willing to give her life to take such a risk to travel into outer space at the speed of light which could take her life, she answers that as long as she could remember she had been searching for some reason some purpose why we are here, who are we? If this voyage gave a chance to know a little bit of that answer & solve the eternal question of mankind, of why we are here, then she says that it’s probably worth a human life. 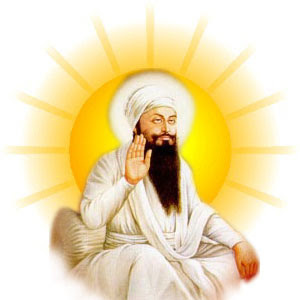 That’s exactly what history has shown us that saints & masters in different times & era gave their entire life for the pursuit of truth, to answer this question & many times they had to give their lives whether it was Jesus, Guru Arjun Dev ji, Guru Teg Bahadur ji or Mansoor, still they never gave up on human race & since ancient times saints have been coming here & giving us the eternal teachings of our origins only to suffer from our hands because we couldn’t understand them. But yet there has always been hope for the ones who hear the eternal calling of saints & masters & chooses to investigate their realizations by going within & finding out the truth for themselves. The next interesting part of the movie is where Dr. Arroway tries to tell everyone else that she did take that journey into the unknown, she saw the wonders of the universe, celestial events, other life forms etc. but she has no evidence to prove her realization. It kind of reminds me of how masters & mystics must feel, when they travel billions of light years into our universe, when they travel to many different dimensions & after seeing the spectacles in those realms come back & try to convince us about their existence & truth. We on the other hand always look upon their realizations as myths & concepts. But we never think about the fact that what if all those higher realms & dimensions which these mystics & masters talk about were actually true, what if we all could go there & see their reality firsthand, what if undertaking this grand journey through various creations was the divine plan all along. I think we must listen to the inner navigator of our soul, the inner explorer who wants to explore the wonders of this universe & take the leap of faith because in reality we have nothing to loose, instead we might gain so much more than we ever thought possible. 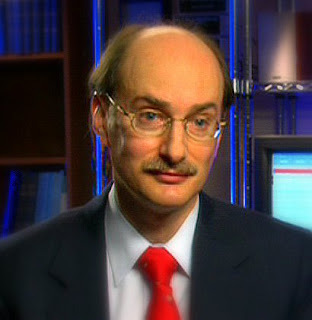 William Tiller Ph.D. – on how to know more? He suggests that in order to go deeper into these amazing findings of quantum physics & to really understand it at a deeper level & experience it yourself we must learn to appreciate meditation practices so that we can reduce the noise level inside. Next would be to play with our internal energies with better understanding of our chakra system. 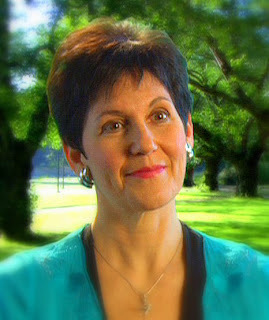 Knowing the treasures within our own body shall reveal a whole new world of astonishing realities & amazing experiences. Its only through meditation that our evolution of the soul can be complete. Amazingly our universe which was expanding at a considerable speed has now increased its speed of expansion, which previously astronomers thought should slow down & within next 150 billion years 99.99999% of the nearest galaxies to our Milky Way will be so far away from us that our telescopes won’t be able to observe them anymore. The same anti gravitiy force which gave rise to the big bang is going to be responsible for its demise leading the universe into a big freeze. However there are more possibilities to this end. Another scenario is where our universe will stop expanding & achieve a state of equilibrium but that will be very unstable & will cause end of all living beings. The third posibility is that our universe after expanding to a certain level will start to collapse & would return to the singularity point where it all started thus giving rise to another Big bang & a new beginning to a brand new universe. Which also solves the question of what was before the Big bang & gives rise to the possibility of never ending cycle of creation & destruction of universes which is again what masters have been telling us that the creation process continues & this universe has been created many times before & it will continue to be so. Very interesting fact similar to this theory is seen in sant mat where masters define the event of parlay or maha parlay (dissolution or great dissolution) as when the Lord wishes he pulls back his current of shabd or sound current from the creation & the whole creation returns back to him & gets absorbed in him. So we can see how this shabd or sound current or music in the hyperspace is responsible for the creation, it’s sustenance & finally it’s destruction, which is exactly what the teachings of sant mat is. Masters have been telling us about this unique power called shabd or naam which is the creator, destroyer & sustainer of not only this physical universe but also the astral, casual, super casual & spiritual regions & how the dissolution happens only till the realm of super casual regions & sach khand or true realm is eternal & never changes much like the superstring field of quantum physics but as far as I see quantum physics may refer to that superstring unified field of existence but it cannot understand it completely just by virtue of knowledge because even physics doesn’t venture in the singularity field which was before the Big bang as it is out of physical comprehension & this is exactly what saints & masters have been telling us that God or even the astral regions are far beyond the grasp of human intellect & you need to transcend mind & intellect to actually experience those higher realities & understand them from a different level of being. which happens from time to time. Interestingly ancient wisdom in the Vedas & other scriptures has also pointed us towards this direction that our universe is a part of an ongoing event of creation, sustenance & destruction. 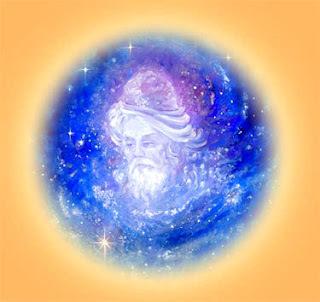 Sant mat also tells us how when this shabd is pulled out of this creation we witness what is called parlay (dissolution) & maha parlay (great dissolution) & again when another creation is created the lord manifests the shabd from sach khand again & as it travels down towards the grosser creation, our physical universe is again formed & the evolution process continues. As these numerous waves upon waves travel from Sach Khand (Pure spiritual region) to our physical realm it produces many creations along the way. Thus when we see that our universe is expanding it explains how our universe is another ripple of those great waves of shabd or superstrings of quantum physics resounding in the entire cosmos & how the wave of shabd or sound current is the driving force behind this expansion & big bang. Even after seeing the amazing things in front of us, even after we are amazed on every step by this wonderful creation, even after so many advancements in science & technology & still we are totally dumbfounded by many mysteries of this cosmos & even after understanding it without a doubt that the mastery & precision with which this creation is created, it is impossible for such an amazing event to happen without an intelligent being governing each & every process of it, we still raise a stupid question of whether God or a supreme being is a fact or a fantasy. In the conclusion to Principia, Newton declares, “The most beautiful system of the sun, planes and comets could only proceed from the counsel and dominion of an intelligent and powerful Being.” If Newton discovered the laws of motion, then there must be a divine lawgiver. 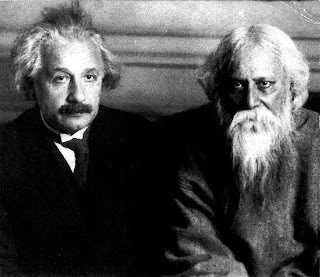 Einstein, too, was convinced of the existence of what he called the Old One, but one who did not intervene in the affairs of men. His goal, instead of glorifying God, was to “read the Mind of God.” He would say, “I want to know how God created this world. I am not interested in this phenomenon or that. I want to know God’s thoughts. The rest are details.” Einstein would justify his intense interest in these theological matters by concluding, “Science without religion is lame. But religion without science is blind.” How can we as souls not be amazed at the grand design, I think now is the best time in history for our spiritual advancement & it’s time for us to realize in its truest sense that “We are spiritual beings going through a human experience.” Our destiny was not to wander about in this ocean of creation aimlessly but infact our creator had a specific design planned for us so that we may learn in this school called earth (and many others like it) & realize our true potential & return back to our source, our true home & fulfill the divine plan. 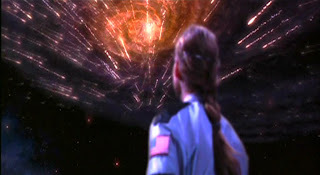 One line in the movie Contact which is an answer to the question asked by a child to Dr. Arroway whether, is there life on other planets, which I find really cool is as follows “The universe is a pretty big place, it’s bigger than anything anyone has ever dreamed of before. So if it’s just us, seems like an awful waste of space.” Being a skeptic is not bad but if it prevents us from putting the teachings of the saints to practice & see firsthand their truth then it’s not a healthy sign. I hope you enjoyed this journey through metaphysics, quantum realities, sant mat & essence of spiritual truth. When science & spirituality are converging towards one point I think it’s time for us to stop being a skeptic & dismiss the magnificent truths & revelations of the saints & mystics & listen to our inner explorer & undertake this journey into the cosmos ourselves & realize the ultimate reality & be one with IT. and now gone is my delusion. and now I can say 'Thy Will be done'. His will cannot lead you to where His grace cannot protect you.